Starmobile as one of the competitor of Cherry Mobile just released a powerful smartphone to stand up against big giants of Cherry Mobile android phones. Starmobile Knight "K" is not gonna stand up a fight for nothing, featuring 18MP, yep that's right 18MP and what's more an 8MP front camera enough specs to compete with latest digital cameras, if only attached with an optical ZOOM this could be one the best mobile phone in the Philippines. 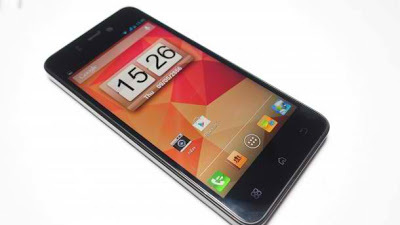 Another top notch for Starmobile Knight "K" is its Quad-Core 1.2Ghz processor and 2000mAh battery, pricing and availability has not been disclosed for the moment, but rumors is that it will be released this July 2013. Why July? Marketing reasons of course, use the trump card for last. Hello, why do you call it local brand ? It's a Thai brand right ? We bought it in Thailand for our customer at the local price of 8190 thai Baht. How much does it cost in your country ? Personal-Shopper-Bangkok. Yes it is local brand, but not made locally. I didn't assume it was made in the Philippines. Its Php11,290 my friend.